Mom Bloggers Club is hosting a wonderful sweepstakes on their site. It's called the "Simplify My Life" Sweepstakes, and the winners will each receive their very own HP Mini 110 with Windows 7 Starter. To enter, you must be a member of the Mom Bloggers Club, at least 18 years of age, and a resident of the US or Canada to enter. Deadline for entries is January 20, 2010 at midnight ET. "What to wear?," I say out loud with an accompanying sigh. I am standing in front of my closet, which for the most part has tons of outfit options, but the choice of colors is slim to none. "Black skirt. Black blouse. Black tights. Ooohhh...red pumps! That ought to do the trick." I'm feeling rather accomplished today. Besides hitting the snooze button only once, I have managed to get through my morning rituals without interruption. I am the only person up, and I owe it all to a 2-hour delay at my son's school. For once, the treacherous weather conditions are on my side. Normally, my entire family (all 3 of us) wake at the same time. We have to cleverly schedule shower time, teeth-brushing time, beauty-prepping time (that would be me), and can't-I-just-chill-on-the-porcelain-for-a-bit time. This makes for a very interesting morning. After all, life without chaos is boring, but it would sure be nice to send chaos a "you're uninvited" invite for a few days out of the week...especially on Monday. With the added time, I dare to try a new omelet recipe. I am trying to eliminate my visits to a fast food joint on the way to work. I figure I could loosen my wallet and tighten my belt if I stopped eating out so much. Now, I just have to execute the recipe correctly or the entire family will be making a trip to the emergency room to cure food poisoning. In no time the omelet is done. I wake my son so that he can hit the shower, and strive to beat the bus to the driveway instead of it being the other way around. As he wastes time takes a shower, I am fumbling under the couch to find his missing soccer cleat and sorting through the laundry basket to find a matching pair of socks. With my luck, I won't find either. I yell, "Wait, is there even soccer practice today?" No one answers as my thoughts compete with the halting brakes of the school bus passing through the neighborhood. The morning has revisited a familiar place...tardiness. The clock is still ticking, and I am nowhere near ready. I completely forgot I was scheduled to visit company head quarter's today, and there is a reported 5-mile back-up on the highway I would use to make it there. "Dear God, please don't let my tights have a hole in them." "I pray the accident has cleared before I leave for work." "Oh my God, where is my cellphone?!" "Jesus Kaden, can you move any faster than that?" "Oh Dear Lord, where are my car keys? They were in my purse last night." Lying there on the bed are my clothes. All black. All simple. Just right. My red pumps are peeking just slightly from under the bed. In a very organized fashion, I put on each piece of clothing - the tights, the blouse, the skirt, the pumps. A quick glance in the mirror solidifies my thoughts. Simplicity comes in all shapes, sizes, and colors. Whether it be an all-black ensemble, or a mini computer, it all depends on how you accessorize your life that makes you stand-out. Like my red shoes, the HP Mini 110 with Windows 7 would be the 'umph' to my technological wardrobe. It would bring together my world and make me get noticed. Even though the world is full of a variety of laptops (regular laptop/black outfits), it is the accessory (HP Mini with Windows 7/red pumps) that makes one stand-out in the crowd. I could easily "Simplify My Life" with an HP Mini and Windows 7. Heck, let's start with a cute purse to carry the HP mini. A girl has to find a way to be fashionable and functional, right?! Leave a comment on THIS post. Mom Bloggers Club will randomly give away three (3) HP Mini 110-1100 by Studio Tord Boontje PCs to readers who leave a comment on entrants' sweepstakes posts. Reader winners will be randomly drawn using Random.org and will be based on the order in which bloggers enter the sweepstakes and post on Twitter. Winners will be announced on Friday, January 29, 2010. By participating in the promotion, I certify that no intellectual property rights were violated, with the exception of verbatim inclusion of the provided messaging, photos, or video. All content is owned by me. I love the metaphors you used throughout your post! Especially comparing your red pumps to the HP mini 110 as the bold, eye catching accessory! 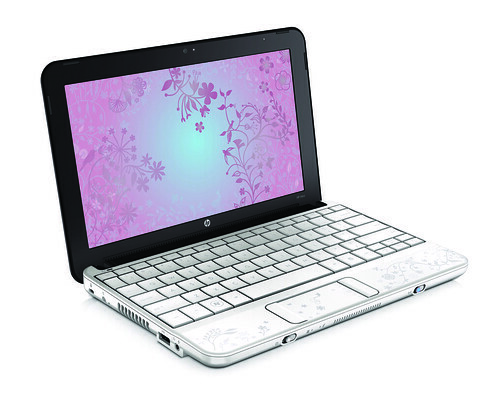 The HP 110 mini would help me simplify life but allowing me to just grab it and go! As a Mom whose always on the go, I barely have time to put on lipgloss, let alone pack up a traditional sized laptop! Because of it's small portable size, it seems like so much less of a hassle to carry around than a "traditional" laptop! I love your post Keonte! I too could use a mini to simplify my life. There are so many times when I need to be on the go but I have things to be doing on my computer. The HP Mini would certainly make that easier for me! I could really use a HP mini! I am an extremely busy mom of two teenage sons and am constantly on the go. This computer is so portable, I could take it where ever I go. I love how you tell it like it is Keonte, and you're still oh-so-fahionable-about it! Good Luck to you! I blogged & entered, too! It would simplify my life because it's an easy to take on the go device. It can jump in the car with us and act as a dvd player or I can jump online during a road trip at the hotel or when we stop to eat. Much nicer then dragging my laptop around. A mini would definitely simplify my life because I wouldn't have to lug around that heavy laptop anymore! And it would fit inside my handbag instead of being so conspicuous in a carry around laptop bag. And besides, you don't always want to carry your laptop with you but leaving it in the car is a direct invitation to thieves to break in and steal it. Being able to carry it in my purse is a major advantage! One of the best posts I've read!! Just had to share, ya know. Not that I'm judging or anyone is asking my opinion or anything, but just saying, I think your post is fabulous! oh...I love it. Man I would give my right arm to win this. LOL, I want one but I'd like to keep both arms in trying to win one!! I'm mom of 7 (ages 4 through 30) and grandma to 2 1/2. Involved in gymnastics, swimming, scouts, adoption networking, blogging and more. I can use all the help I can get with simplification! Thanks for the chance and good luck to all! I like your post and I like red pumps! Hey! Visiting from Mom Bloggers Club! This is such a great giveaway! I would love to simplify my life too! So many moms could benefit from this! I just love your blog title! We homeschool, so I can relate completely! Hey, I just noticed the commenter above me had her laptop stolen! I had my desktop stolen 2 days after Christmas! We should join forces! Wonderful post Keonte'! Love the fashionable way your created your post! The HP Mini 110 would make my life simplifier because I would not have to be chained to my desktop and could move freely around my home. Good luck! It would be nice to have a mini to help you with all that! I could use an HP Mini for when I am on the go. I have a daughter who does dance and girl scouts and a son who plays football and basketball. I would love to have a nice, compact computer to bring with me to practices to stay up to date with all the things I am involved in! I entered too..oh how I would love to own a sweet sweet mini! TO be able to have a mini to call my very own. No more fighing for computer time! Love your post. Good luck to you! I was looking at the HP mini Tord and Windows 7 and love all the features of both. The laptop is beautiful and Windows 7 features would really simplify my life. I love that it has a large HD and it has quick access features to find the files I need. And there is fast web surfing. An HP Mini would be so nice to have while on the go. I would love to win this mini. It would definitley help organize and simplify my life. It would be so great to win this! So lovely to get away from the desk and experience true freedom! I would love an HP mini! It would definitely simplify my life! I would love to win this. It simplify my life so much! Good luck! 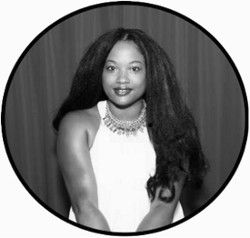 I am in the process of trying to start my own business and I currently work from home...but I rarely stay in one place with my laptop. As I suffer from degenerative disc disease in my cervical spine - coupled with a heavy laptop - changing my "workspace" throughout the day is NOT an easy task. The HP Mini would simplify my life by allowing me to move my computer from place to place on my own...no more bothering the rest of the family! This netbook would be a true lifesaver! Great post! Very creative. I'd love one of these because they're so portable - and small enough to fit in my purse! That would be so handy since I'm addicted to the computer!